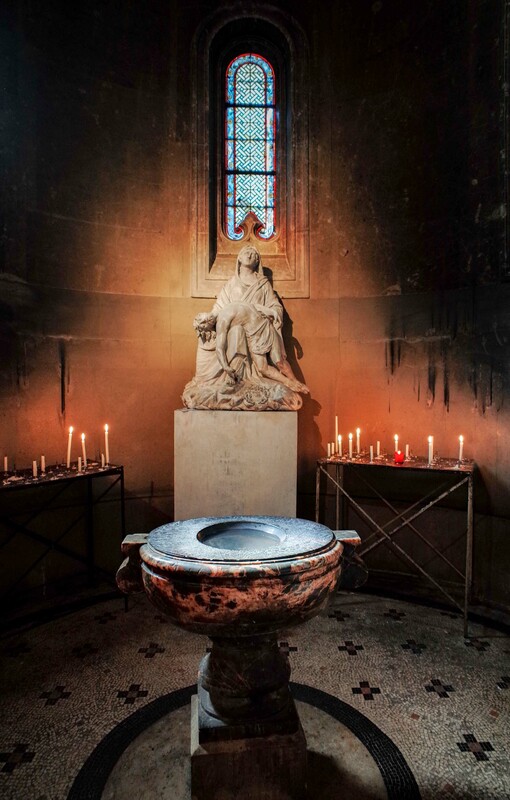 There are dozens of beautiful churches to see throughout Paris with Notre-Dame (Île de la Cité) by far the most popular, but it is the smaller, lesser known churches that get my attention. 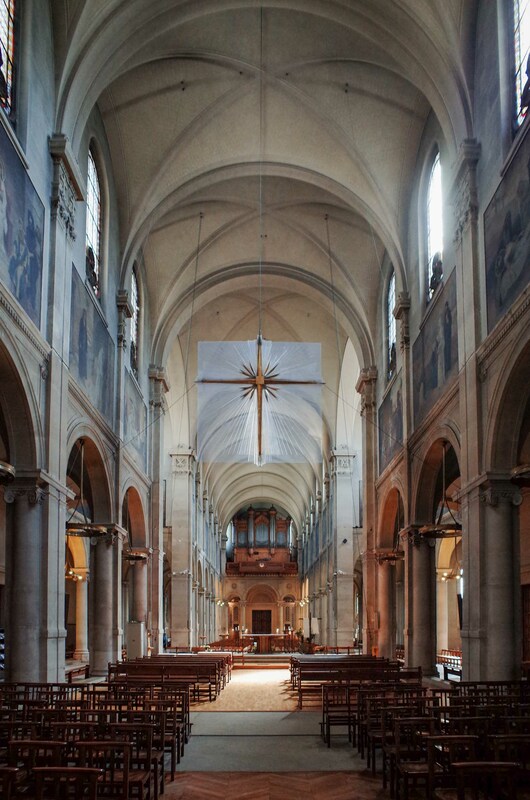 Eglise Notre-Dame des Champs is a new favorite. 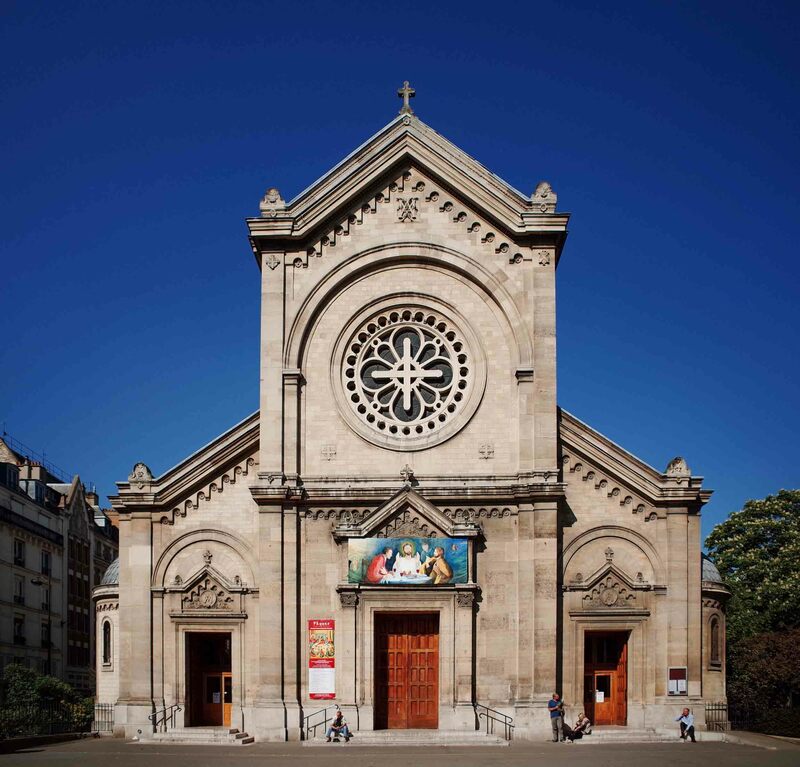 It sits in the shadow of the Montparnasse Tower at the end of Rue de Rennes (91 Boulevard Montparnasse). If you don’t mind being the only one in the church and don’t mind avoiding busloads of tourists you may like it here. 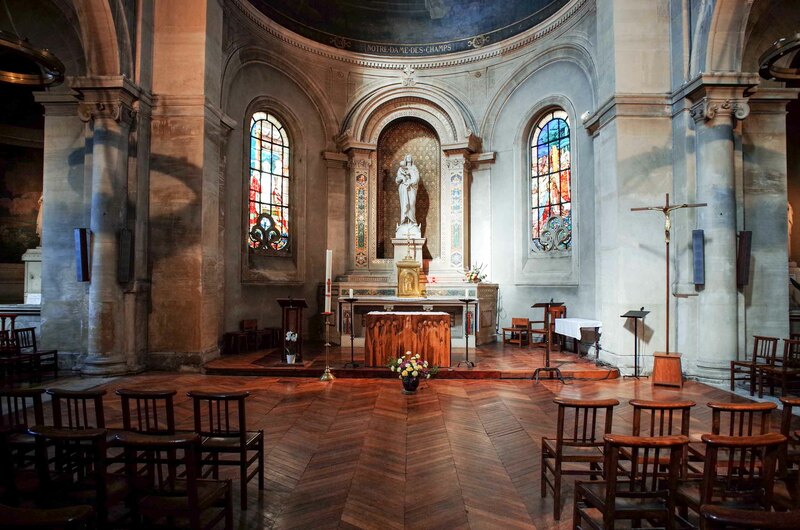 I really enjoyed the lighting in this church, much brighter than other churches I’ve visited in Paris. 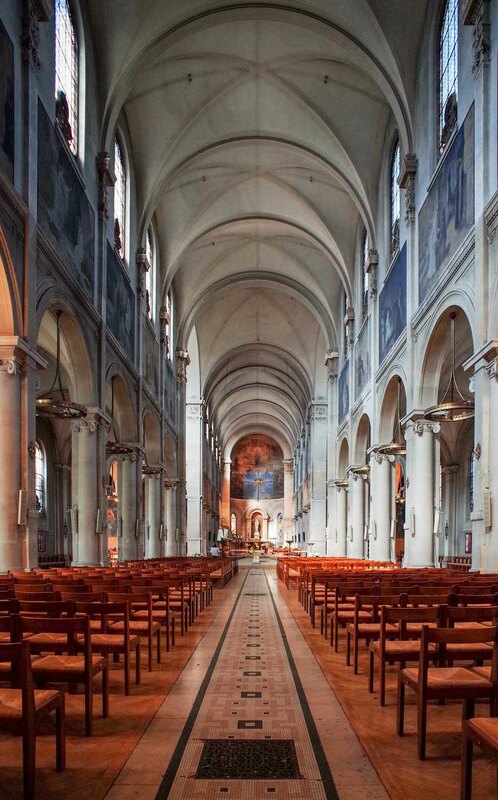 It is build over a metal structure designed by Gustav Eiffel and is relatively new (1876) and modest in size compared to Notre-Dame Cathedral, but no less beautiful. 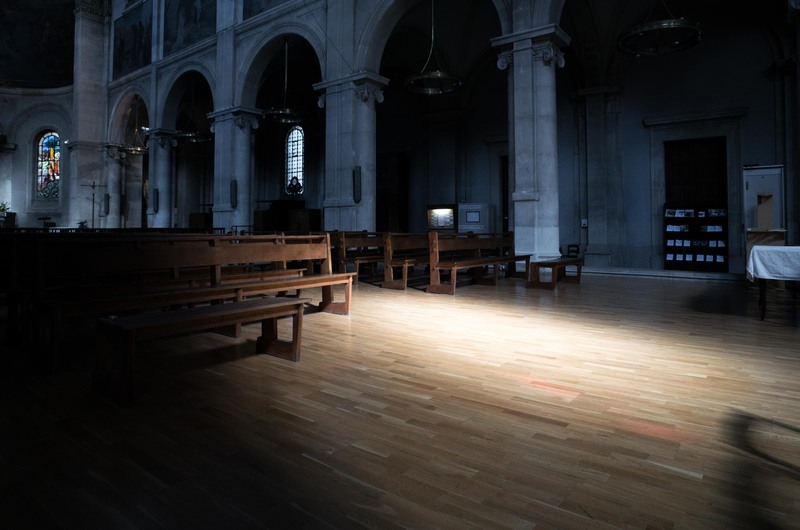 Once you step in off the street you are most-likely one of only a couple other people in the church and will never feel rushed or crowded once inside. Unlike some of the other churches, it is well lit and begs to be photographed. You’re greeted with this stunning view when you walk in. Looking back toward the entrance and the pipe organ.